Thursday morning greetings, my friends! Time for another little English grammar lesson. Several readers have asked me to explain the use of quotation marks. I'd be happy to! I hope this is helpful to you. As always, I'd be happy to answer any specific questions you may have. If there's a grammatical issue you'd like for me to write about, leave it in the comments section. If there's a particular question you'd like for me to answer right away, email me (richella (at) gmail (dot) com). Richella, I know where I'll be coming every Thursday. 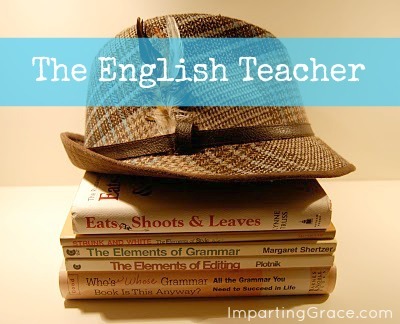 I could always use a bit of a refresher from my new English teacher. Thank you as I can use all the help I can get! I've been quoted! 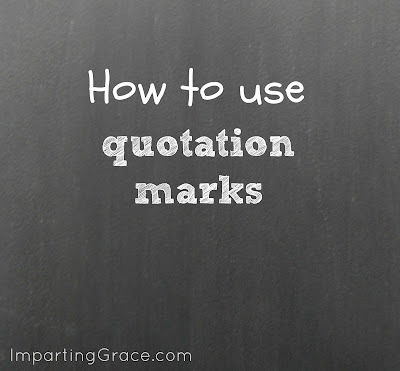 ;) This was very helpful...I guess a lot of the time, especially when it comes to using the quotation marks at the end of a sentence with something other than a period. Thanks for setting us straight! I love your grammar lessons! Just wanted to let you know I awarded you with a little award over at my blog! Can you cover when to use this set " " and when to use this kind ' '? I used to know this, but I'm having trouble keeping it straight these days.